My secondary school result was announced. I was so curious about my result so, I reached internet cafe desperately (those were the days when internet was not very common). I opened the official site of my school, put in my enrollment ID but the page was unresponsive. It’s been more than five minutes. After that I came to know about my result. What happened actually that the site was too slow to respond? Yes you got it right, along with me there were more than 50,000 students who put their queries at the same platform to know about their results; consequently system was not capable enough to handle this much traffic at once. 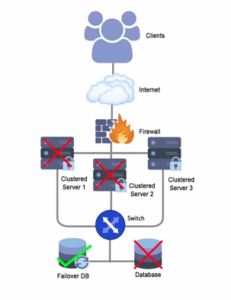 They would had not deployed Clustered Hosting. So, the performance of site suffered badly. These kinds of sites to whom thousands of visitors are approaching, need more than a Dedicated Server. In technical terms we call them Mission Critical Applications. A mission critical factor of a system is any factor (component, equipment, personnel, process, procedure, software, etc.) that is essential to business operation or to an organization. Failure or disruption of mission critical factors will result in serious impact on business operations or upon an organization. 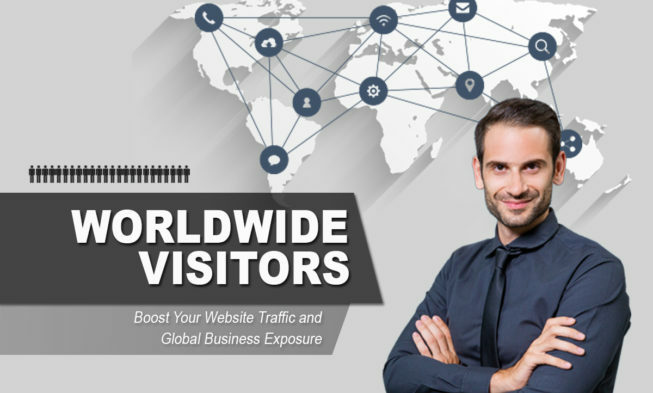 If you are owner of a site who has to handle very high traffic and you cannot afford your site to be down even for some moments; solution lies in Clustered Hosting. Or if you need to be able to successfully withstand thousands of concurrent transactions per second. You could be a candidate for a Clustered hosting solution. Clustered Web Hosting spreads the load of the hosting across multiple dedicated servers. In other words it involves building and deploying multiple servers in a customized clustering environment for high-availability specifically for the mission critical applications. 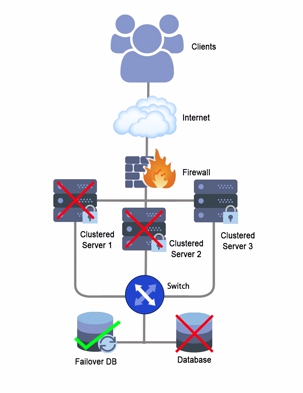 Clustered Hosting is a hosting that is designed to take over the role of another host server within a cluster. This practice dispose of the danger ingrained in a single point of failure, and makes more dynamic use of network resources. In order to meet your business needs there are other plans available besides this. Visit and order your plan here. Your website remains continuously operational for a desirably long length of time. In other words, 100% uptime! You will enjoy un-interrupted work experience if any calamity occurs, we provide 24/7 customer support. Gain confidence to transact with your web site, providing security for your online Communication. We have been tried, tested and proven for last 17 years. We are committed to respond to you real time for all support calls. We are able to cope and perform under increased workload. Your system will cope well on any given situation.